I am an artist, cook and mother who lives on an animal farm in Berryville, VA. 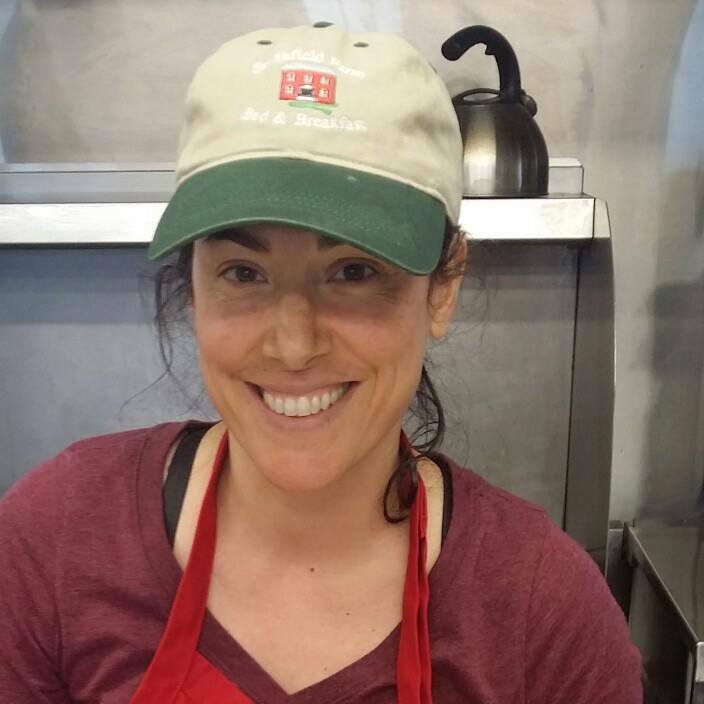 I make delicious food from produce grown on local farms, as well as Smith Meadows meats and eggs. I am happy at work with other people dedicated to sustainably produced food. I am happiest, however, when I am painting. Art is an eloquent appeal from one being to whomever or whatever will respond. I have had a brush, pencil, or crayon in my hand since childhood. It always begins without knowing entirely what to say. As marks appear, a conversation fills the emptiness. My work varies to suit the dialogue that compels me most. 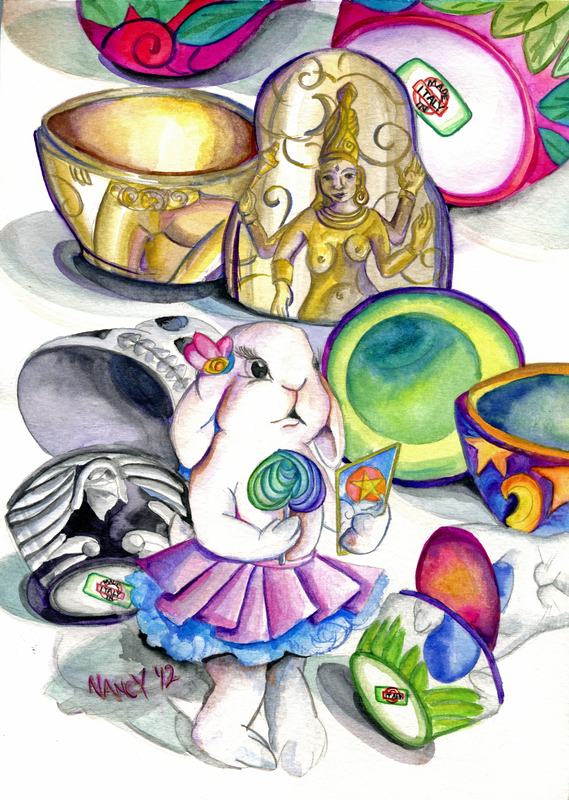 Manic Pixie Dream Bunny, watercolor on paper, 2012. This farm has been my home since 1998 when I started a direct marketed enterprise with the Pritchard family. Our grass-fed meats and home cooked food business is Smith Meadows. I was born and raised in the Washington DC area by parents who emigrated from Italy in 1962 and 1966. I have a BA from the College of William & Mary in Art History, and an MA from UNC Chapel Hill in Art History. Although my academic training is in Art History, I spent more hours in the studio than in a library or a museum. 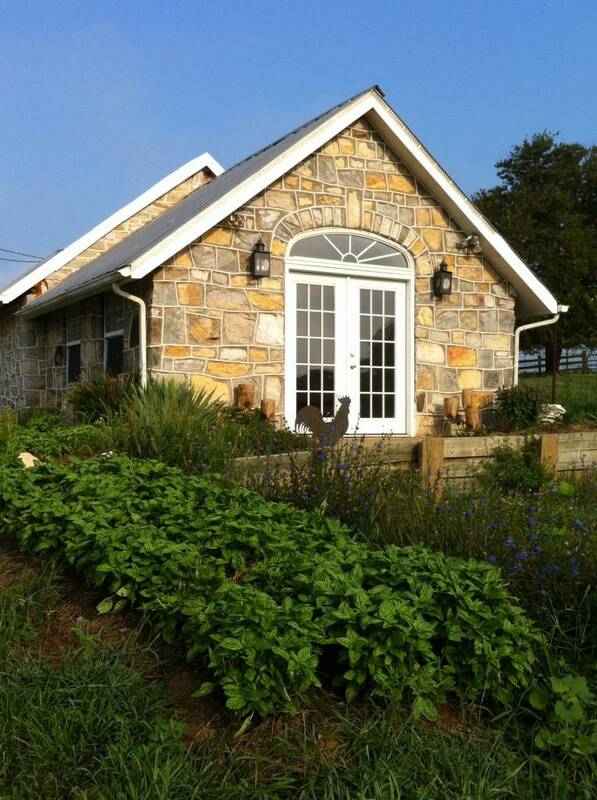 I taught art in Prince William County and Loudoun County before I began Smith Meadows Kitchen in 2003. Having two cultures that ground me in very different worlds defines me. I am never fully at home in Italy or in America. My roots, however, grow deeply in both soils. Creating art has helped me untangle the psychological knots that might otherwise disorient me. I like this space that borders comfort. I navigate unlit corridors by losing myself: in unfamiliar languages, varying artistic mediums and cooking all kinds of food. A passion for harmony is my compass. I make portraits, landscape and abstract paintings in acrylic and watercolor. The surreal bunny and farm animal paintings are what I enjoy making most. Current work is available to view in a small gallery attached to La Capretta Studio with a surrounding garden full of herbs that I use in my kitchen. If you are in the area, please visit the farm. If not, view the portfolio on this website. For a deeper look at works from the entire span of my career, visit my Flickr page. Thank you for taking the time to learn more about me. May I Paint Your Picture?